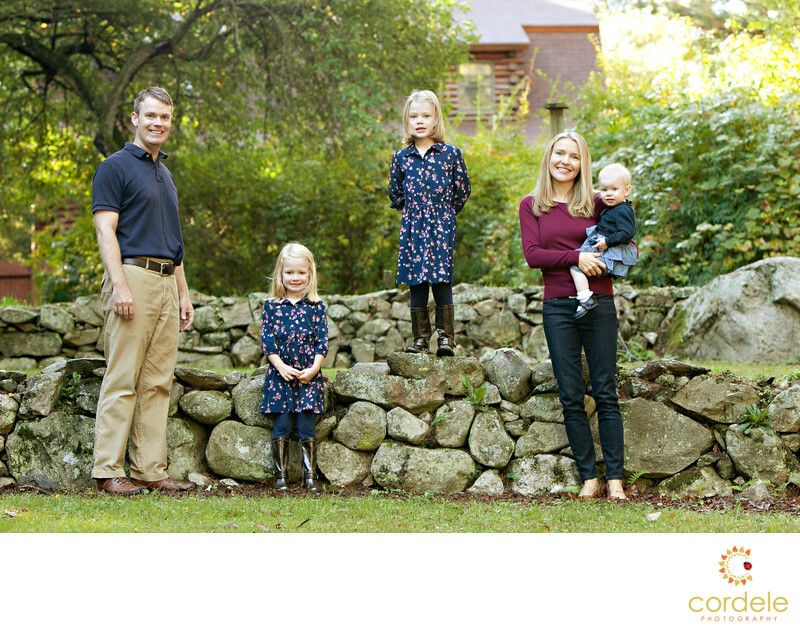 A family stands on a rock wall in North Reading for their Family Portrait. The position of the family gives everyone their own photo without having to move them, but keeping them all together for a family portrait. As a Reading Massachusetts Photographer it is always nice to be able to photograph other reading families and get to know them over the years. this family portrait is one of the many I have taken in Reading for this family.